Tues Mar 14 Dine out for Winterhaven: Pizzicato. Details below. This past week, we experienced a passionate exchange over email, sparked by a heartfelt message from Marisha Childs about her daughter’s uncomfortable experiences in the classroom. In the process, I heard other similar stories of inappropriate communications between students. As an initial response, you can see our PTSA letter of support here. First, we invite you to come to the PTSA Community Meeting on Monday, March 20th at 6:30 for a facilitated discussion on diversity at our school and in our community, and the role of parents, students and teachers in making a safe and supportive environment for our kids. Mr. Sandilands will be there to talk about what the school is currently doing to address diversity issues, especially hurtful speech and behavior among students, and share his thoughts on how students and parents can help. We will also have an outside facilitator to help guide us in listening to different views, talking constructively about issues, and taking collective action to support diversity, inclusion and cultural enrichment at Winterhaven. Second, in response to feedback on the use of email list, we are reestablishing the community discussion forum, separate from email, so that parents may opt out, or choose to participate in online discussion on the many important topics that relate to our school community. See below for details. All this email activity has revealed the wonderful range of voices we have here in our community, and provided encouragement about how we can all come together. It also presents an opportunity to review email policies; many folks have expressed an appreciation for the forum; others complained that it is not the right forum and it is overwhelming to have these abundant conversations here; others still have asked to be removed from the group list or removed themselves. 1. A separate email list for conversation: The former email system had a specific list for conversations. It seemed like a lot to bring that along initially, as we needed to keep it simple. That said, we are a commuter school and email is the connection mode this community has demonstrated to prefer. Now is an appropriate time to revitalize that conversation list. I’ve already created the new conversation list. (chatter@winterhavenschool.org). I am going to preemptively add each of you on this PTSA_All list to it. Look for my email to initialize the list later tonight. At the bottom there will be instructions for unsubscribing, but if you have any troubles at all in doing so, please don’t hesitate to reach out for support. Also as a reminder, our Facebook forum has an active following and many conversation threads. If you enjoy conversations, I ask that you consider joining it (search for “Parents of Winterhaven”). 2. We ask you to understand the purpose of this PTSA_all email list. It is critical to conducting the business of the PTSA. It one of the few very effective avenues we have to announce key initiatives -- from events that support our kids to fundraising to sorely needed volunteers. We need to ensure this list is read and that we don’t lose a.single.subscriber. We need you all on board. Everyone is equally important. I am reminded of our survey last year where it became clear too much email was sent and folks reported they weren’t reading it. We’ve been working towards a standard of not exceeding an email a day, with a few exceptions and kinks working out. It’s has not been an easy transition. Not for the entire PTSA who is so tremendously dependent on email in order to be successful. And certainly not for me to be in the position of managing that. In the end, we hope that you find we are trying to be more respectful of your time. 3. FAQ: In all of this, some really insightful and wise questions have been asked. I’m going to handle those in an FAQ. which will be posted and maintained here on our site. If you are one of those people who asked questions about this list, or wanted to know about that email you sent – look here for answers! (hoping to post this later tonight...). The Immigrant and Refugee Donation Drive – through March 23 - Every quarter, we have parent and teacher run interest classes. This quarter, as part of our Community Awareness elective run by Winterhaven parents, we are organizing a donation drive, collecting donations for the Immigrant and Refugee Community Organization (IRCO). We as students believe that it is crucial for our community to help and provide support for immigrant and refugee families. We believe that everyone has the right and obligation to take part in their community and its actions, including kids. As 6, 7, and 8 graders, we are trying to take action and help families who may not be as lucky and well off as we are. So, if you have the time and ability to donate these necessities to families in need we ask you to do so and join us in our search for equality. If you have any questions, please email our teachers and fellow Winterhaven parents Kristin Doherty or Beth Nelson at kristinwdoherty@yahoo.com and benelsonhill@gmail.com. Look for donations drop spot in the front entry way of the school. Donations we recommend include: Toothbrushes, Toothpaste, Shampoo, Conditioner, Deodorant, Bars of soap, Razors, Shaving cream, Nail clippers and file, Tweezers, Feminine hygiene products, Toilet paper. 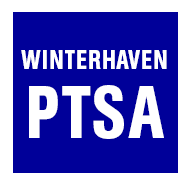 PTA Clothing Center Volunteer Opportunity – Winterhaven's next volunteer date at the Portland Council PTA Clothing Center is Monday, April 24th from 9:30 - 1:00 pm. If you are able to help on this day, it is always much appreciated. This is always a really rewarding experience - for many kids, this is their only chance to get new clothes for the season. As a volunteer you can help families "shop" for clothes or sort through donations--whichever you are most comfortable with. If you have the flexibility in your schedule, please consider volunteering. If you cannot commit to the full 3.5 hours, you can take a 1-2 hour slot, but we need the equivalent of 5-6 adults in the space for the full 3.5 hour commitment. The Clothing Closet is located at Marshall High School: 3905 SE 91st Ave, Portland, OR 97266.Please email Rebekah Folsom (rsatz@yahoo.com) or Kristin Doherty (kristinwdoherty@yahoo.com) to sign up. The PTSA's annual The Wealth of Winterhaven Silent Auction will be on May 19th this year! Very soon we will be seeking donations from the Winterhaven community. We hope you will join us under the trees on the night of the school carnival, and help us make this our best year yet! Questions? Contact Heather Dickinson 503.754.7100. So you all know, we raised $1000!! THANK YOU! all for coming out to our Dine-Out-For-Winterhaven night at Nostrana last month. That’s about TWICE what we have raised at other events, so nice work! We also wanted to give a shout out to Nostrana who ponied up about $300 more than we brought in and offered to do this event ANNUALLY because they believe in our public schools. So look out for this special event EVERY year moving forward.